The winter season transforms the world outside and makes us adjust our daily routines to prepare for these transformations. During the colder months we make numerous adjustments to our environment and wardrobe to adapt to the chilling effects of winter. It is important to remember that our bodies and health are often significantly affected by the changes that occur during the winter months. There is no shortage of ways the cold can bring inconvenient changes to our daily lives. Common symptoms of cold winter weather include runny noses, chapped lips, dry skin, and frozen fingers. 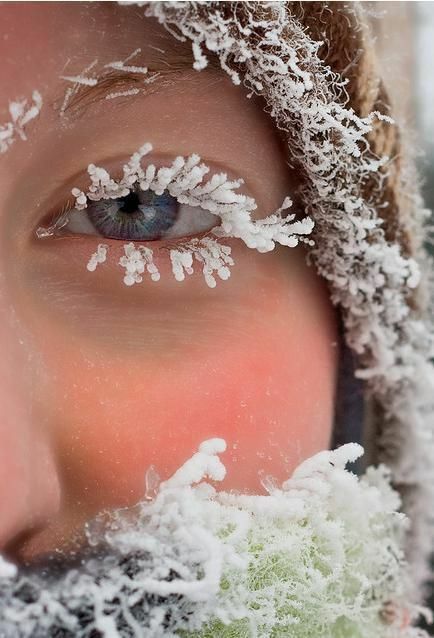 However, there is one part of our body that often receives the worst of the winter weather -- our eyes. Both the harsh winter winds outside and the dry heat radiating inside can cause a sudden onset of moisture evaporation from our eyes. The result is a significant increase in dry eyes. Dry eye leads to a number of eye symptoms including itching, burning, fluctuating vision, blurred vision, eye pain, and/or excessive watering to compensate for the dryness. It is nearly impossible to avoid dry eyes all together in the winter months, but there are steps that you can take to ensure that your eyes stay as hydrated and healthy as possible this winter season. During the winter months, a home’s humidity level can dip below the 30-55 percent range that is required for our eyes to stay adequately lubricated. Consider bringing a humidifier into your home to improve the ambient humidity. Additionally, consider leaving off the exhaust in your bathroom while you are showering. Even mild dehydration can negatively affect the hydration of the eyes. This is especially significant in winter because cold temperatures can dampen the body’s thirst mechanism, while artificial heat speeds the evaporation of tears. Keep your eyes hydrated by drinking water throughout the day and increasing your intake of fluid-rich foods (soup, fruits, vegetables). The dryness of the winter season can contribute to inflammation of the eyes tear glands. This can lead to a decrease in their secretion and an increase in evaporative tear loss. Omega-3 fatty acids have been shown to decrease the amount of inflammation in these tear glands and improve the quality of their secretions, thus decreasing tear evaporation. If your diet is low in these essential nutrients, consider taking a fish oil or flaxseed oil supplement. On a cold day, your first instinct when getting into your car is to blast the heat on high until you warm up. Sitting in front of the forced air vent is essentially the same as holding a hair dryer to your eyes. They can become very dry, very quickly. Consider heating your feet and/or turning on your seat warmer until you are at a comfortable temperature. Dry eye is a common occurrence and is exacerbated during the winter months. It can lead to significant discomfort and a decreased quality of life. The understanding of dry eye disease continues to improve and new therapeutic options continue to emerge. If you are suffering from dry eyes, itching, burning, fluctuating vision, blurred vision, eye pain, and/or excessive watering, then schedule a dry eye evaluation today. We would love to help you find treatment plan that works for you! I recently made an appointment to go and see an eye doctor for an exam and I wanted to see if I could find any tips about dry eye before I asked him. You mentioned that it is important to drink plenty of water since the winter temperatures can dampen the body's thirst and over heat eyes. I will have to keep that in mind and talk to the doctor during my appointment.